Sizes: XS 34/36" S 36/38" M 38/40" L 40/42" XL 42/44" 2XL 44/46" 3XL* 46/48" 4XL* 48/50"
Water resistant garment. 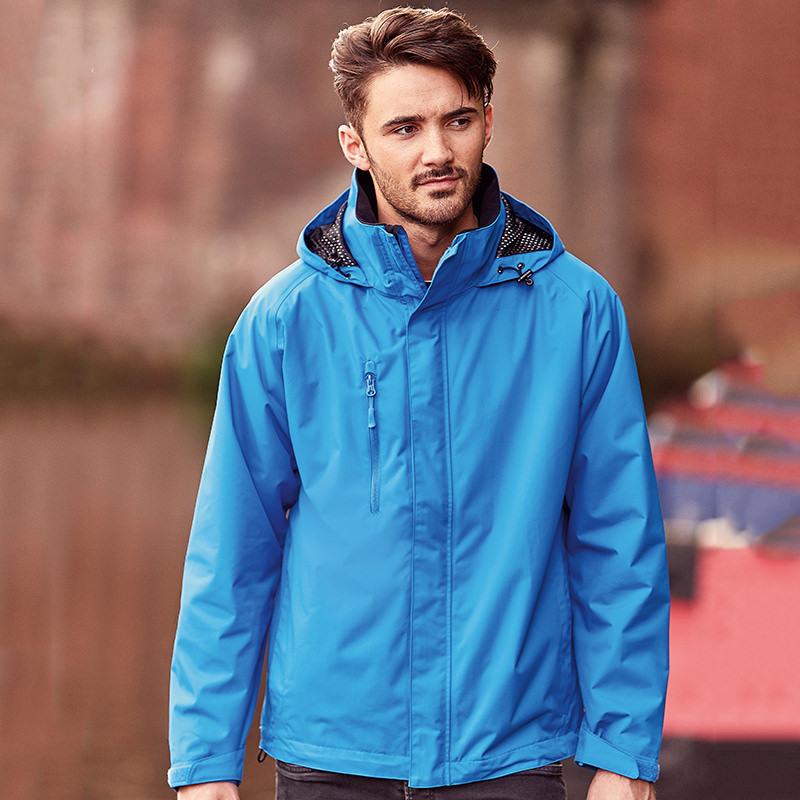 PU coated with critically taped seams, fabric is waterproof to 2000mm and breathable: 2000gsm per 24 hours. Active fit: articulated elbows, raglan sleeves and concealed hood. Advanced features include; zipped handwarmer pockets with internal pocket for phone/MP3, storm flap with rain channel, reversed zips and soft touch inner collar. Concealed 3 piece hood, fully lined with discreet concealed decoration access at hem.